The Town Bird: Does Shah Rukh Khan really Not Want To Work With Sonam Kapoor? Does Shah Rukh Khan really Not Want To Work With Sonam Kapoor? We all know about the first movie of Sonam Kapoor, Saawariyan which was not a hit at the box office but after that we have seen Sonam growing and rising with every movie. 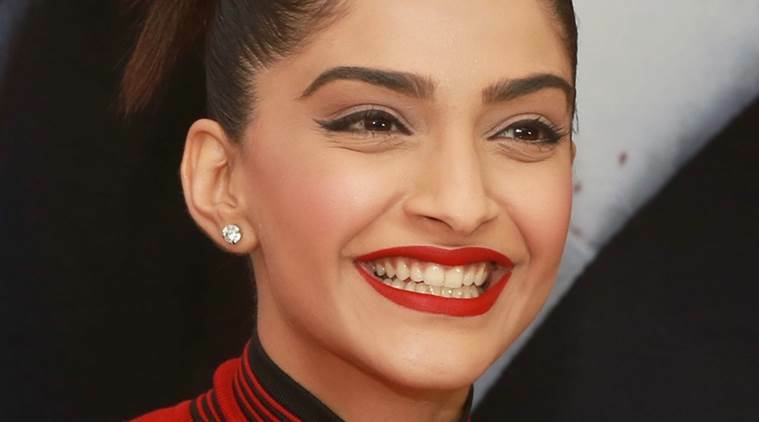 She has grabbed the attention in some really interesting movies like I Hate Luv Storys, Neerja dn Khoobsurat. However she has worked with big names in the bollywood including Salman Khan. She has shared screen with salman Khan in Prem Ratan dhan Payo and Saawariyan. For a recent magazine interview when she was asked if she wants to work with King Khan, Shah Rukh Khan her answer was really surprising. She said,” I don't think Shah Rukh Khan wants to work with me. There have been so many opportunities where I could have worked with him but he... I wanted to work with him and I reached out to him as well. But I never got the opportunity. I guess it'll happen whenever he feels like working with me." She further added to it saying it is all up to Shah Rukh Khan whether he wants to work with me or not. "What happens in the film industry is that an actor decides whether an actress should do a film with him or not. When he wants to work with me, I guess I'll work with him. But I don't think he's wanted to work with me till now." What do you think is it really male actors decides upon the opposite co-stars in the movie? Well how true is the fact and on the top of it how King Khan will get this statement is something really interesting to observe in long run.